One of the primary reasons individuals, couples, and businesses file for bankruptcy is to receive protection from their creditors. Upon filing bankruptcy all creditors must stop every form of collection- whether it be foreclosure, repossession of property, wage garnishments, and even letters and telephone calls. Federal law prohibits creditors from taking any action to collect from you once the bankruptcy has been filed. This protection is referred to as the “automatic stay” in bankruptcy. Judge Jernigan then awarded the debtor $11,000 in damages from Ally Financial for sending out these confusing letters. Bankruptcy judges take seriously the protection that bankruptcy provides for debtors and enforce this protection through sanctions. Occasionally, a judge will impose treble damages, which tripes the amount of damages actually suffered by a debtor. Bankruptcy can provide protection from your creditors, and it is nice to see that judges are enforcing this protection. If you are the victim of aggressive collection activities, contact us today so that we can help you obtain the protection of federal bankruptcy law. 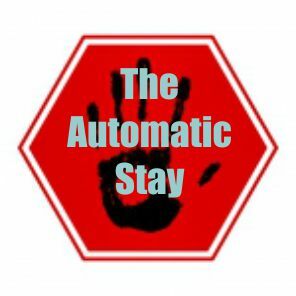 This entry was posted in Uncategorized and tagged automatic stay. Bookmark the permalink.